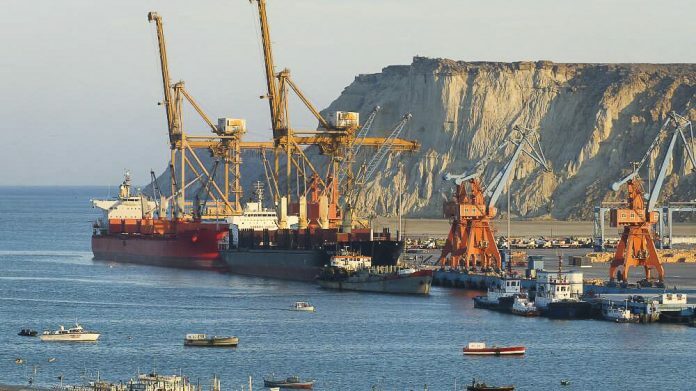 ISLAMABAD: Senate Chairman Muhammad Sadiq Sanjrani has said that Gwadar would become a hub of trade and economic activities, urging the investors to explore new avenues for investment as the environment was conducive while enormous vistas still remained unexplored. The Senate chairman expressed these views while talking to Chinese Minister for International Development Song Tao at the Parliament House on Sunday. Sadiq Sanjrani said that Pakistan placed its relations with China at a high pedestal and both the countries had supported each other in testing times. 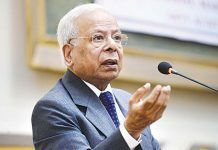 He, however, underscored the need for more close collaboration between the parliaments, saying that frequent exchange of delegations would help consolidate the bond of friendship between the two sides. The Senate chairman said that the fate of Asia lied in the hands of Asian people and its leadership had to act with sagacity to make the Asian people masters of their own destiny. 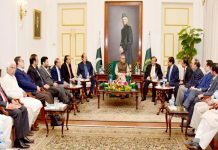 He termed the China Pakistan Economic Corridor (CPEC) a landmark initiative and said that the nation is united at all levels to make the corridor a success story. The chairman said that Pak-China friendship was a living example of how two nations could get closer in not only political and economic affairs but also in other fields, adding that cooperation between the two at macro and micro level is highly remarkable. The Chinese minister on the occasion said that China and Pakistan were strategic cooperative partners and the two countries enjoyed all-weather friendship. He said that parliamentarians were the representatives of people and it was important to promote parliamentary cooperation and deepen the bilateral relations. The Chinese side also visited the Senate Hall and planted a sapling in the lawn of the parliament. The Senate Chairman hosted a reception in honour of the visiting delegation which attended by Leader of the House in the Senate Senator Shibli Faraz, Leader of the Opposition in the Senate Raja Muhammad Zafar ul Haq, Federal Ministers, Senators and high ranking officials.